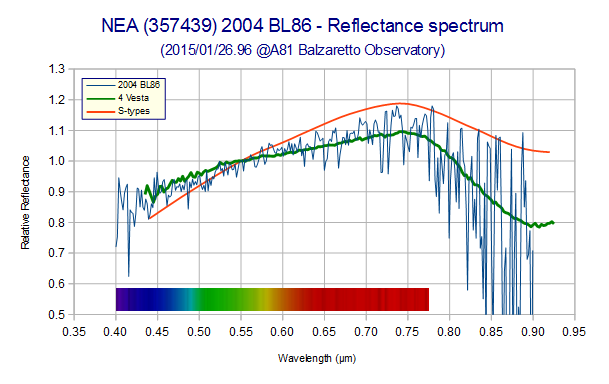 If doing spectroscopy the target's brightness and the resolution play major roles. I heard that compared to normal imaging, the limiting magnitude for a given exposure time is reduced by approximately 6 magnitudes - I guess this is for low resolution. If wanting to do spectroscopy on faint magnitudes the total exposure time needs to be increased. The purpose of spectroscopy is to find out about chemical elements, which can vary by region on any celestial object and this distribution can be studied. Let's take some small solar system object with a rotation period of two hours as an example. There are several elements distributed on it's surface and revealed to the observer through it's rotation. But reaching a high enough SNR means a total exposure time of e.g. five hours. So this means that each individually gathered low SNR spectrum would carry the chemical traces of the current region facing the observer at that time. Stacking dozens of individual spectra - or averaging? - would result in a collection of all geochemical elements on the object's surface. Does this make sense and are such observations scientifically useful at all? Would it be that simple as to put a low resolution grating like the RSpec's SA-100 filter inside a filter wheel and image faint point sources with it? Or do you need more than just such a grating? The SA-100 is a great way to start in spectroscopy: it’s inexpensive, and using it will give you experience at the procedures for wavelength-calibration, instrumental response, and SNR versus exposure vs target brightness. As you have already recognized, you will only get good spectra from “point” sources, but there are plenty of educational and research projects that are within its capabilities. 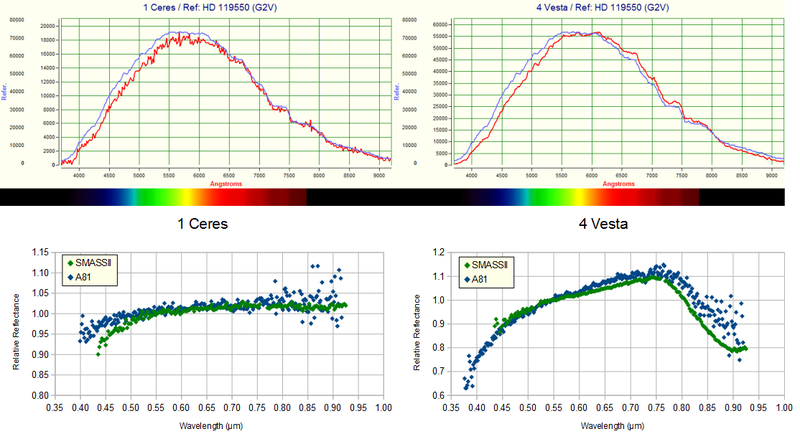 Probably everyone’s first project with the SA-100 is to examine the range of stellar spectral types, to see the change in the continuum (from hot to cool stars) and the sequence of the prominent absorption lines. A few years ago I helped a high school student do this project for the County science fair, with good results (i.e. he learned quite a bit, and he received an “honorable mention” from the judges). His equipment was amazingly simple: the SA-100 grating mounted in front of the standard lens on a DSLR camera (similar to the old-time aperture prism arrangement). The SA-100 is a remarkable device: with it, your CCD, and a modest telescope, you can observe the red shift of quasar 3C-273. And it has been used for assessing supernovae types and “imposters”.